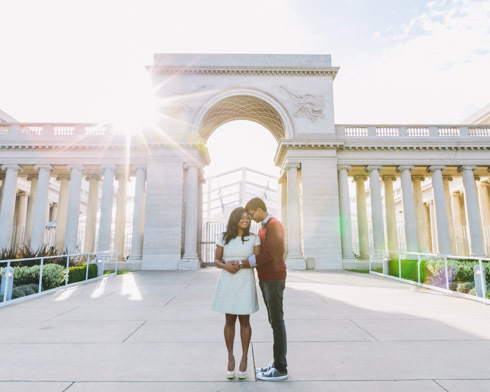 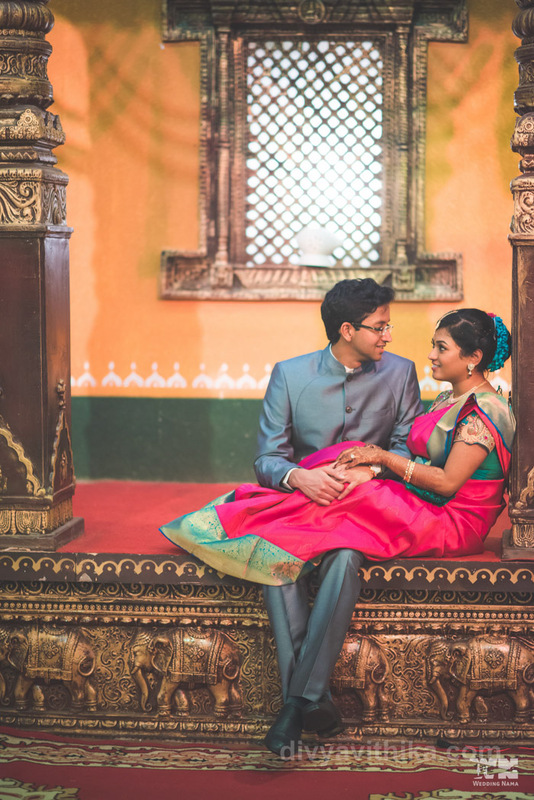 Thothathri and Supraja’s big fat Indian wedding was especially fun to plan with so many creative twists and turns. 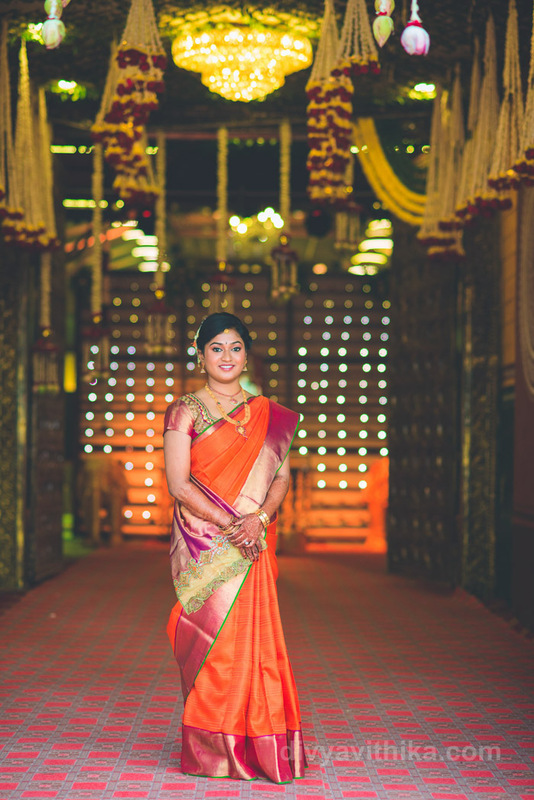 Supraja, our super talented bride was straight out of the sets of Kuch Kuch hota hai (her favourite movie). 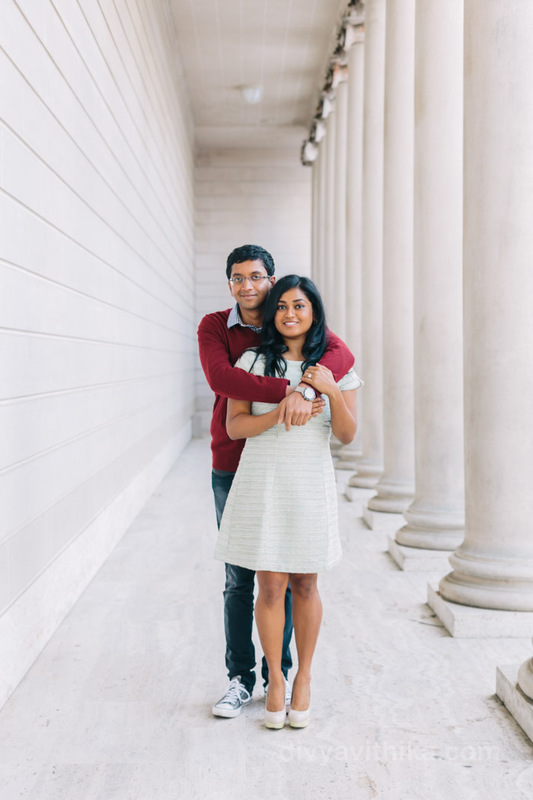 Tho on the other hand is crazy about James Bond. 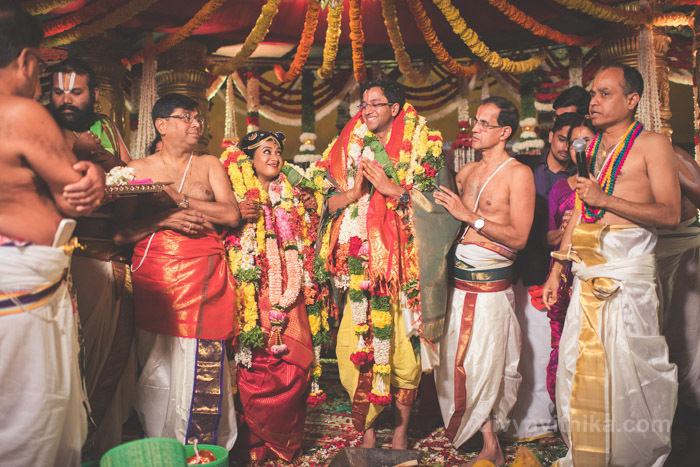 What brought them together was a super traditional, arranged TamBrahm wedding. 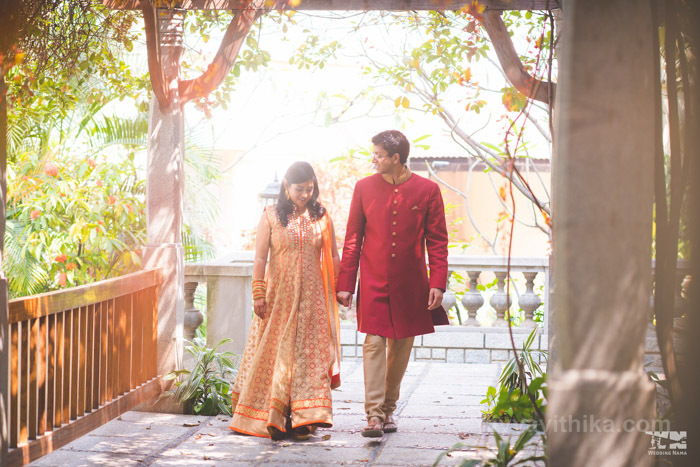 The celebrations commenced with an intimate guest list for the Mehendi by the pool side at The Taj Westend in Bangalore followed by a Sangeet at the ballroom the same evening. 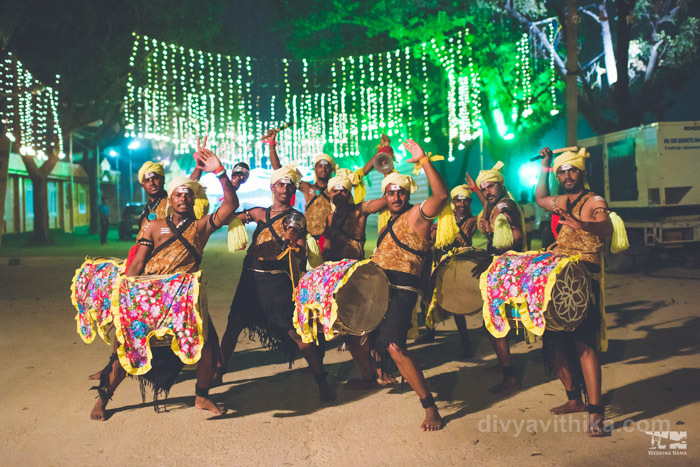 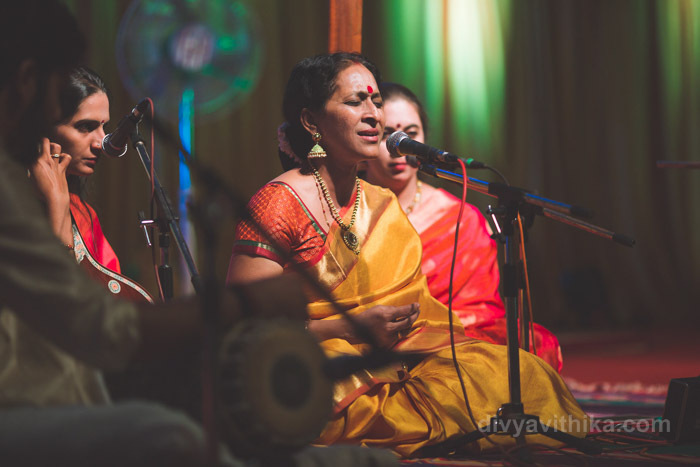 The next day the guest list swelled at the Viritam function in the morning followed by a concert by Bombay Jaishree at Gayatri Vruksh in the evening. 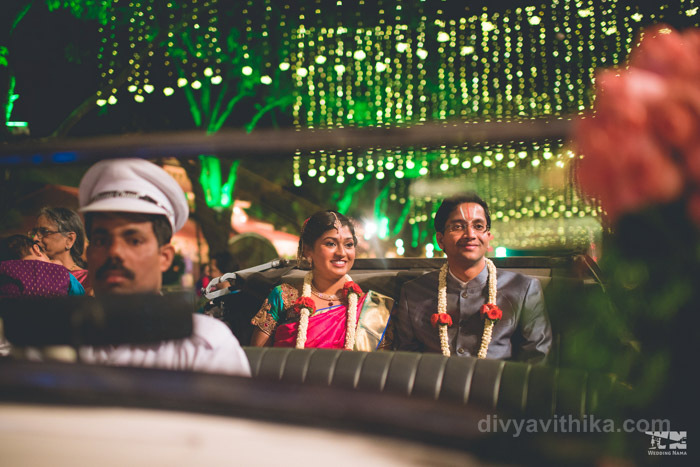 The couple made an entry in a lovely vintage car with the local dhol Kunita artists instead of the traditional band….a sight to behold and Bombay Jaishree made the evening mesmerising for the guests with her Carnatic music. 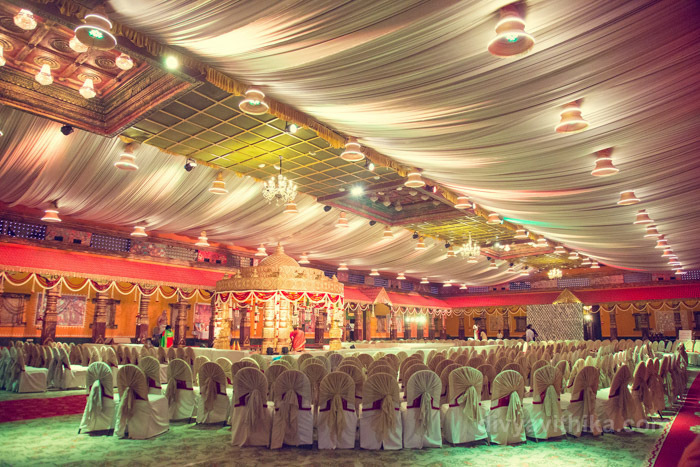 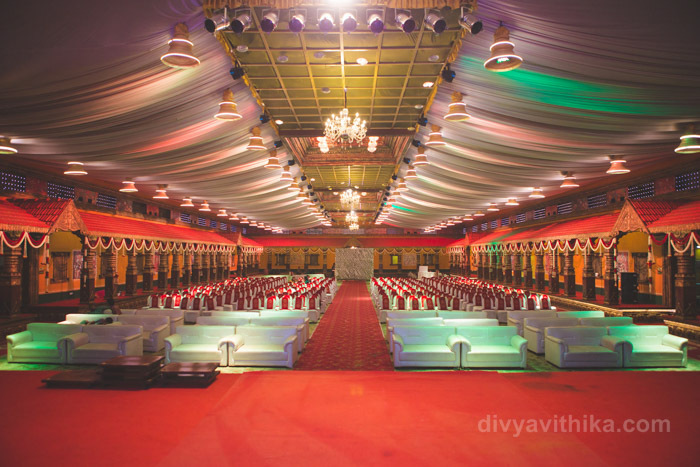 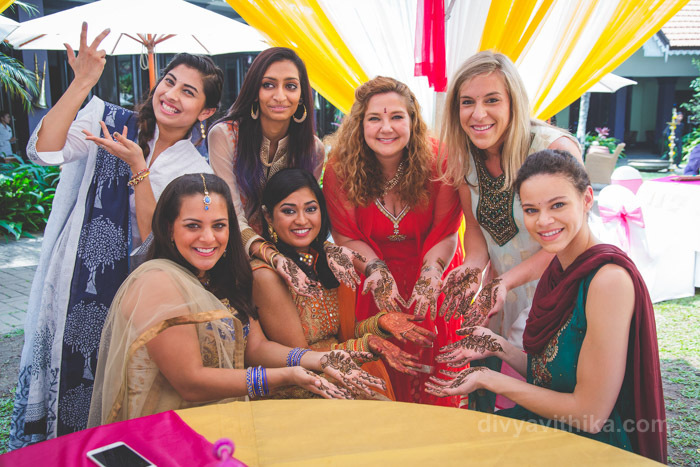 The wedding day saw nearly 2000 guests at Gayatri Vruksh. 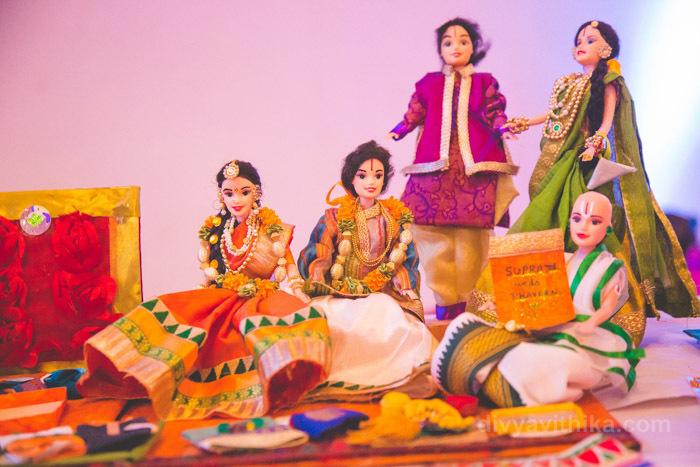 The oonjal, Golu dolls displaying the different rituals at the wedding were among the many unique elements that made this wedding stand apart. 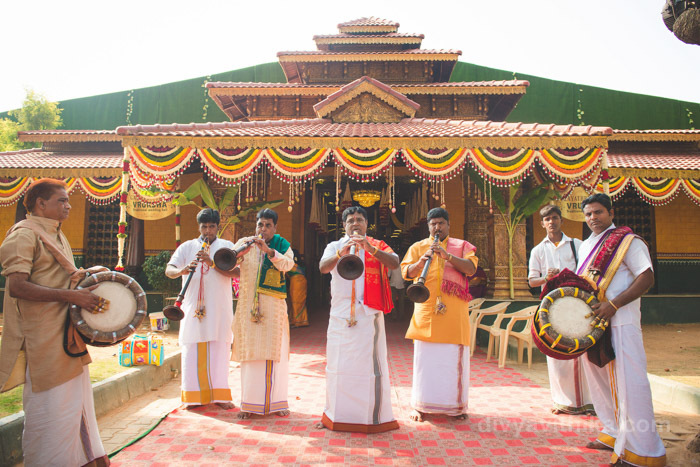 A beautiful reception in the evening provided the perfect grand finale to the celebrations. 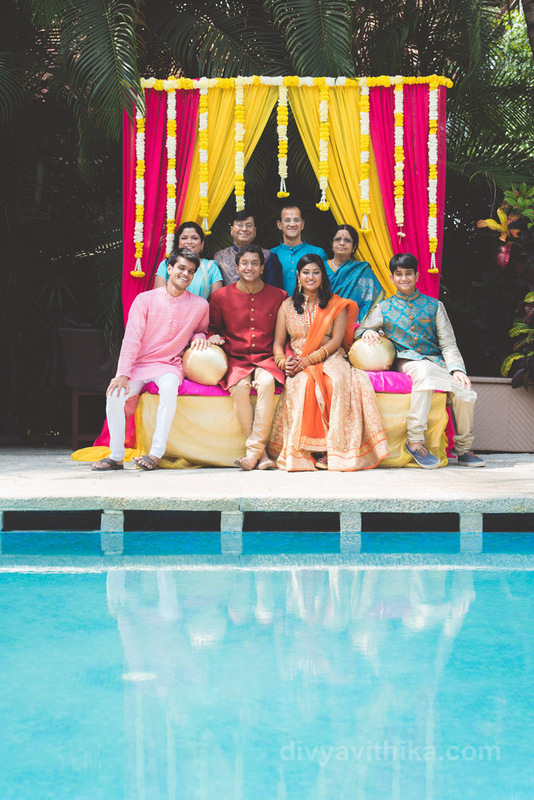 The family came to us 7 months before the wedding leaving us enough time to plan everything. 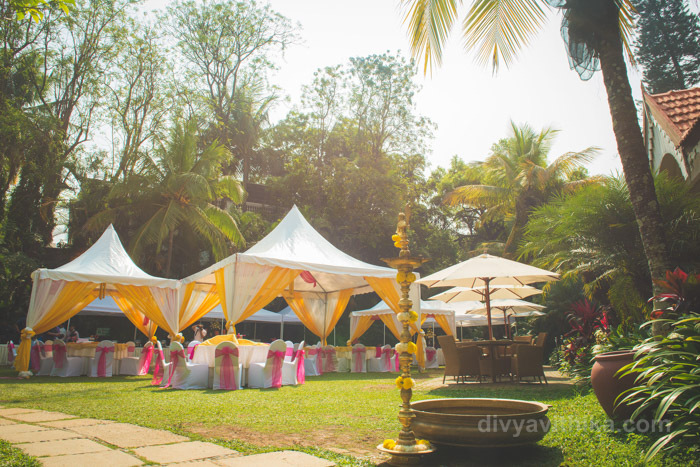 We started by helping them with their engagement and then booking and coordinating with vendors like photographers, coreographer, make up artists, caterers, venues, hospitality, stage management, guest management, among other things. 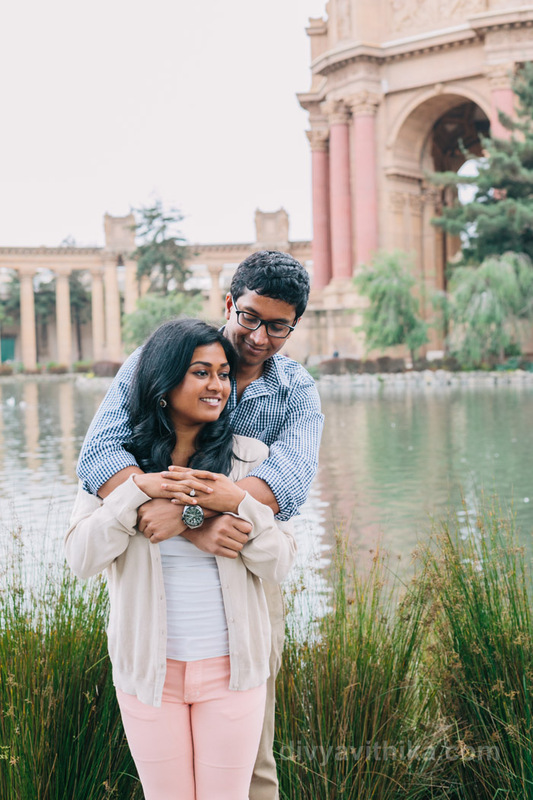 We wish Supraja and Thothatri a real life which is as exciting as their love for their reel characters.